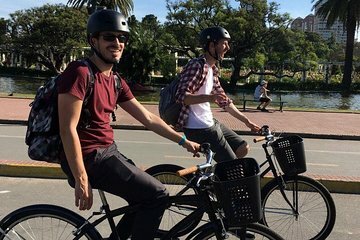 This 5-hour bike tour takes you through some of the most scenic areas in Buenos Aires. Visit Recoleta Cemetery, the Floralis Generica sculpture, and the stylish neighborhood of Palermo Soho. Along the way, you’ll see stunning French architecture, chic boutiques and cafés, tombs of legendary historical figures, and peaceful wooded areas. Stop for lunch and a snack of mate and alfajores to complete your experience. This was a great way to take in the parks and see some of the city. There were bike lanes in most places and we felt safe. The tour guide was knowledgeable and treated us to Mate tea a traditional way to end the day with friends.